You are more than your business. So you've tried it. You’ve boiled your gorgeousness down to one really marketable skill or product. You've focused your attention on it, and let the other stuff take a back seat. But it’s hard. You get side-tracked thinking about all the other stuff you love, the other stuff you want to do. And now you’re doubting if this creative business life is even worth it. As a maker, as a enthusiastic creative, you don't have just one thing. You have zillions. You read, write, photograph, make, knit, …..
To pick just one is way too limiting, way too…stifling. We (Kim + Tara) are with you. 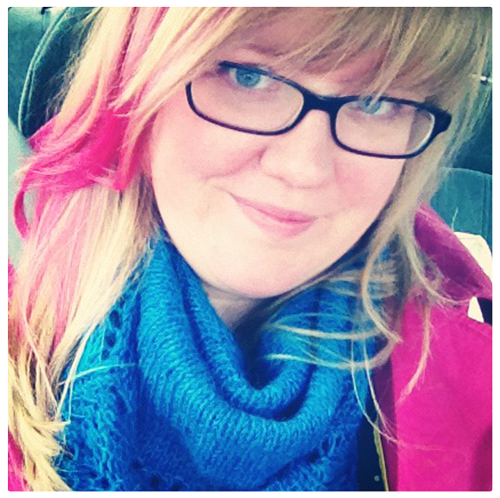 Kim built a career around editing and crochet, then she quit her job and sold her business. She was certain people would hate her, or at least lose respect for her, but the opposite was true. Now she edits, writes, teaches workshops, speaks and makes videos about creativity in general (and sometimes about crochet), and she doesn’t bite her tongue anymore when she wants to talk about science or books or how she watched the whole first season of The Newsroom one Saturday when she had the house to herself. Tara was a full-time yarn-maker who pored over business books on the weekends, until she flipped it all on its head. Now she writes and teaches for makers during the day and makes yarn on the weekends. Embracing these other, sometimes random, passions was scary. And lonely. In a world where we were known for One Thing, it’s terrifying to (publicly) try something else. This is something we (we, the creative community) don't talk about enough, the idea that you can express your multitudes and be successful. That you can embrace all those sides, facets, interests and build a business around the cohesive you. Well, we're talking about it now. This Wednesday, at 11am PST (2pm EST), we’ll share what we’ve learned and we’ll answer the questions you have about it. Access to live video workshop, on Wednesday, September 26th, at 11am PST. Workbook, including a written summary + worksheets so you can apply what you learned to your own business. Click the Register button, check out with Paypal (you can use any card, check or Paypal) and you’ll immediately get your invitation to our live video workshop. You'll get a friendly email asking you for your questions and your story (as much as you want to share), so we can make sure to address your specific concerns during the workshop. At the appointed hour, tune in to the private page to watch our video live, and ask more questions on Twitter. After the workshop, you’ll get an email with a link to the recording, and the workbook to help you embrace your multitudes. You’ll still get a recording of the entire workshop and we’ll be on the lookout for your question on Twitter. In other words, yep, go on and register NOW, because registration closes when the live event starts.